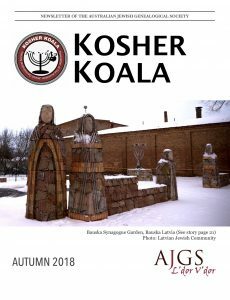 The Autumn 2018 issue of Kosher Koala was published April 15, 2018. We pay tribute to Sophie Caplan, OAM, founding member and past president of AJGS. Sophie, a child survivor of the Holocaust, was a champion of genealogical research, establishing the Hans Kimmel Essay competition to encourage an interest in family history in high school kids. Sophie edited Kosher Koala, for over a decade, was the Australian Contributing Editor to The International Review of Jewish Genealogy: Avotaynu for many years and was awarded the Order of Australia Medal in the Australia Day honours in 2000 for her services to history and genealogy. The AJGS AGM was held in March 2018. AJGS President Robyn Dryen reported to the meeting on the state of our society for the previous year. The meeting agreed to adopt a new model constitution for incorporated associations, in line with revised legislation for organisations such as ours. AJGS has is developing an excellent relationship with Waverley Library, increasing our eastern suburbs workshops to 4 per year. These workshops have been well attended. In all AJGS is in good shape. AJGS member Sarah Meinrath has contributed a fascinating travelogue of her trip to Bukhara, Uzbekistan. 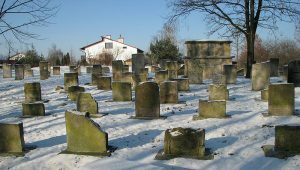 Sarah’s mother and grandparents were expelled from Pultusk, Poland in 1939 and traveled by foot to Bialystok. In 1940 the community were once again forced to leave, eventually ending up in Kotlas, in Arkhangelsk Oblast, the site of a Siberian gulag. There, Sarah’s mother and other teenage girls were forced to clear pine trees with hand-held saws, to make way for roads. In 1941-1942 the Russians relocated over a million Jewish refugees to “Stans” in Central Asia – in Sarah’s family’s case to Bukhara, Uzbekistan, the city where Sarah’s parent’s met. Sarah and her husband, Nigel, traveled to Bukhara in 2017 to retrace her family’s steps. Sarah shares her journey with us in vivd detail, describing the sights, sounds, smells and tastes of this unique city and community. During the war Bukhara Jews had a tight knit, long established community with unique customs and traditions. Today it is a shadow of its former self, numbering barely 150. Sarah and Nigel experienced wonderful hospitality over Shabbat and even had some success in the local archives, despite the frustrating Soviet style bureaucracy. Illustrated with photographs of their travels, Sarah’s article gives an insight into genealogical travel to the far flung corners of our ancestors experience. In March 2018 Robyn Dryen accompanied a group of about 50 people associated with the ARK Centre in Melbourne, led by Rabbi Shneur Reti-Waks, to Broken Hill in Central NSW. Broken Hill is an old mining town, and was once home to thriving Jewish and Muslim communities. Today little is left of this pluralist past however the restored synagogue, dedicated in 1911, and several ornate graves in the cemetery hint at the pluralist past of this old Australian town. Robyn gave a talk to the group about her relatives, who had lived in Broken Hill at the beginning of the 20th century. She took the opportunity to revisit her ancestors lives and ask come curly questions about how they managed to maintain their faith in such a remote location. In News, we examine the current stouch in Poland over anti-defamation laws, look at the rise in genealogical activism around the world and celebrate the success of the Bauska community in Latvia for winning a prize in the Annual Latvian Award in Construction for their magnificent memorial Synagogue Garden. Sledgehammer looks at how Facebook helped break down another brick wall. A new occasional column, DIY, shares a trick for deciphering hard-to-read hand written documents of very thin paper. And Links and websites highlights the latest document updates from the major sites, online exhibitions and upcoming Culture Days. 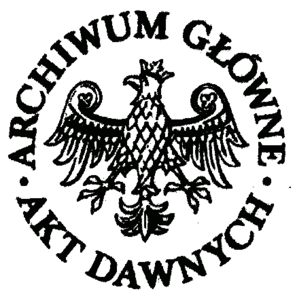 Gesher Galicia have announced their joint symposium with AGAD for 2018 will be held on Tuesday, August 7, 2018 at AGAD in Warsaw, Poland and will be focused on Archives and Jewish Galicia. This symposium is on during the IAJGS conference period. Subjects covered will include AGAD records, Jewish Galician records in other Polish and Ukrainian archives, Holocaust records, maps and cadastral surveys and non traditional record sources. There will also be panel discussion with archivists and local researchers from Poland and Ukraine. A buffet reception in the evening will follow the main program. Transportation between AGAD and the main hotel staging the IAJGS conference will be arranged. Pre-registration for the symposium will open on Sunday, January 28, 2018, through the Gesher Galicia website, where a special webpage is being set up. People who have paid their Gesher Galicia membership dues for 2018 will receive priority booking for two weeks, prior to booking being opened to all. The Sydney Jewish Museum is hosting a fascinating exhibition on the The Jews of Greece from October 25, 2017 1 February 18, 2018. Utilising the works of photographer Emmanuel Santos and documentary filmmakers Carol Gordon and Natalie Cunningham, the exhibition provides a window into the life of Romaniote Jews, Sephardim (Jews of Spain) and the smaller groups of Ashkenazi Jews of Europe that made up the Greek-Jewish community. 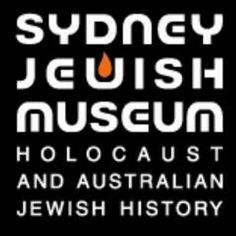 For more information check out the exhibition page on the Sydney Jewish Museum website.